Ordinarily, I would not post anything regarding Luke getting in trouble; however, tonight will be different. I will. Luke woke up this morning and to say he was in a bad mood is an understatement. He not only began speaking ugly words to me, but was talking with such a terrible attitude. I simply looked at him and told him I was not dealing with him since he was acting so ugly and I walked off. I finished getting ready for work and then gave Luke a hug and kiss good-bye and told him that I hoped he had a good day. Once I left the house, I never thought again about the way Luke had acted. Luke, on the other hand thought about it all day. When I picked him up from school I asked how his day was, he replied that it was a great day and he had something for me. And he handed me this. I have the sweetest boy. I told him thank you so much and that I forgave him for acting badly. 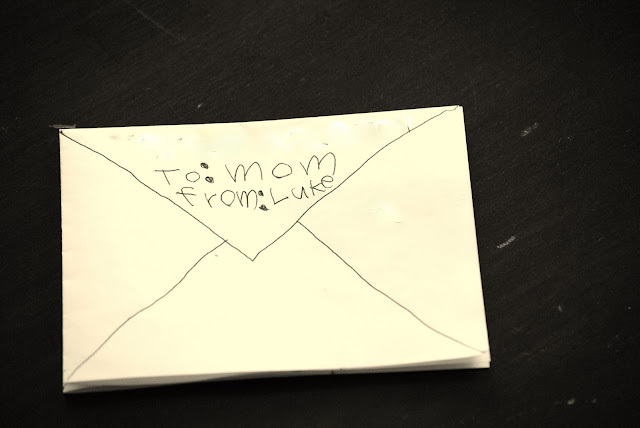 He explained that he wrote the letter on his own and it was his idea to do so. He then went on to say that he had a present for me, but that he had to put it together. There was some commotion going on in the back seat, and then he reached up to the front of the car and handed me this. I looked back at him and he was beaming. 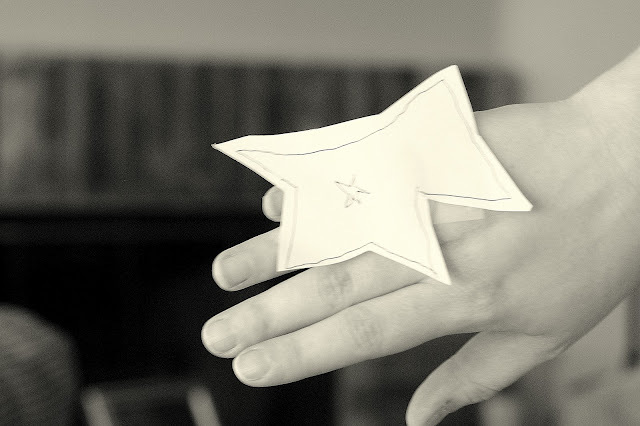 He taped a keychain ring to the back of this lovely star. I asked him where the roll of tape came from and he told me that he took everything to school that he needed to make the note and ring. 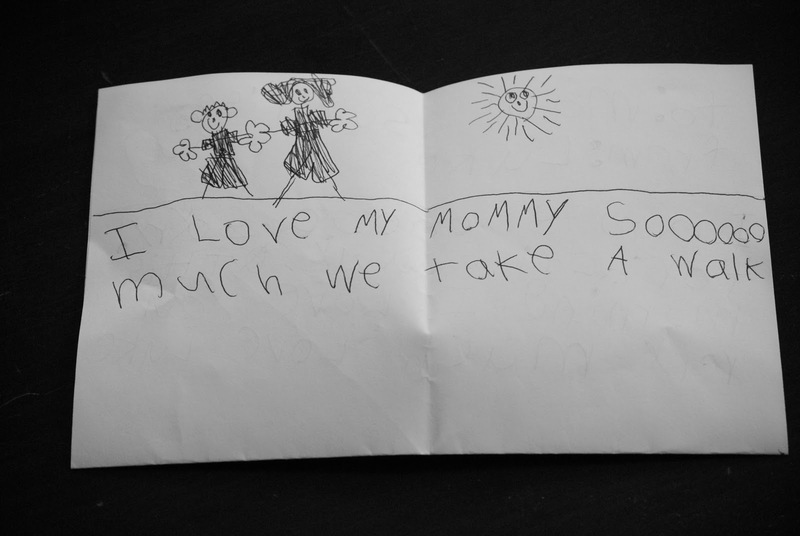 He then said that his note to me had clues….he wanted us to go on a walk and play a game of SORRY since he was very SORRY for how he acted. I could not have been more proud of him. 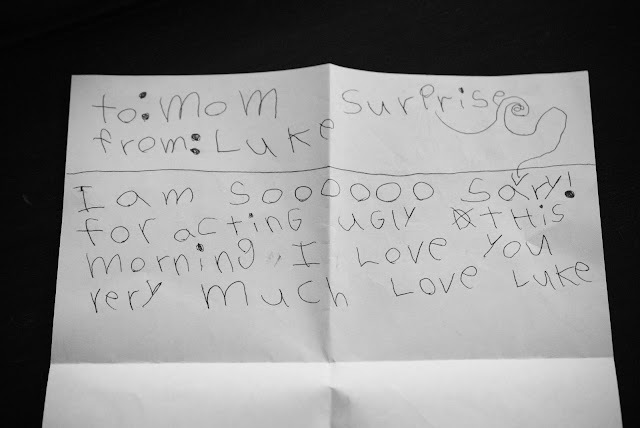 My stubborn little boy not only realized he was wrong, but apologized in the sweetest way he knew how.